This is an interactive Google Slide activity aligned with the Kindergarten McGraw Hill Wonders program! This product is designed for students to complete on Chromebooks using Google Classroom, but students could also do the activity on an iPad, desktop computer, or Smart Board. You will need a Google account to access this product! If you want to assign this product in Google Classroom, your students will also need Google Accounts! 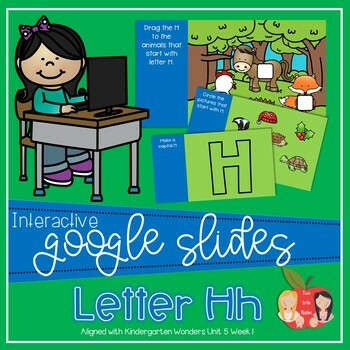 This product is aligned with Kindergarten Wonders Unit 5 Week 1-- Letter H and includes 9 interactive slides. 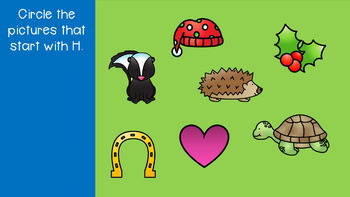 This product allows students to practice phonics concepts taught in Wonders. Students will drag and drop objects to demonstrate understanding of letter formation, letter sounds, CVC words, etc. 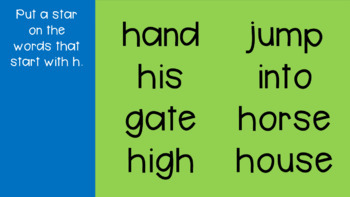 Check out our growing bundle of all of our interactive Google Slides phonics activities!